Email marketing is to small business owners what lightsabers are to Jedi – an incredibly effective tool that you can use to make your voice heard above the din in a cantina. But the most beautifully crafted email in the world will achieve nothing if there’s no one to see it! This article’s here to help you do one thing: get more people on your email list. You’ll have seen these on most eCommerce websites and marketing blogs – usually in a side bar – and they’re highly effective. But how do you actually *add* one to your website? Best practice is to sign up for an email marketing service like Constant Contact or Mail Chimp. You can use them to create a sign up box that will drop emails straight into your mailing list. Just decide what fields you want on the form (i.e. name, email), and they’ll give you a little snippet of code that you can just copy and paste into your website. If this sounds complicated, trust us, it’s not – and Constant Contact in particular have a fantastic support team who can talk you through anything that you’re having difficulty with. If you haven’t got an email marketing system yet, you could just add a simple form to your website, and keep a separate record of sign ups. Not recommended, though, as people expect to get a super-fast response when they subscribe to an email marketing list, not a solitary promotional email that limps in three months later. Don’t just stop at the side bar of your website. Add an email sign up form to your email signature (again, your email service provider will give you a bit of HTML code you can add to make this easy). Anyone who’s bothered to read an entire blog post might want to receive additional content from you, so add a sign up form to the bottom of any blog posts. And last but not least, add a sign up form to the footer of your website, and to your ‘About Us’ page. 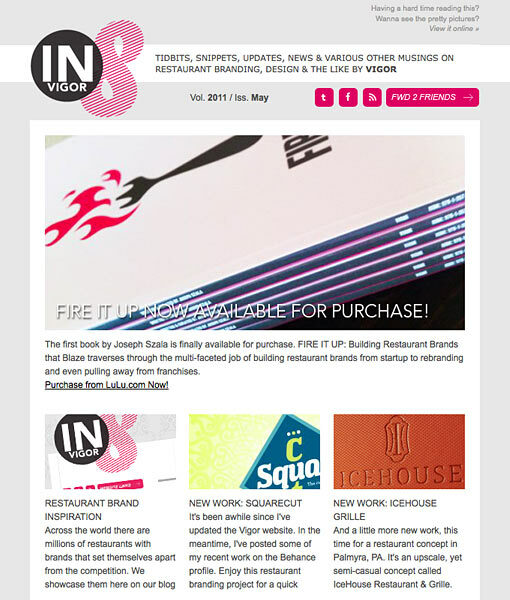 Many marketing blogs interrupt your reading with a big ‘sign up to our mailing list’ message – and irritating as it is, it WORKS. But do be respectful; use technology that will allow you to time these pop up messages to only appear after someone has spent, say, 90 seconds on your website, and/or visited a particular page. Take a look at http://www.mailmunch.co, which has a free option, and works brilliantly with just about any email service and website platform. Two super affordable options at just $49 per year – http://optinmonster.com/ and https://pippity.com/ are also worth checking out. Hello Bar is a stylish way to add subscribers; it adds a bar to the top of your website, the prime real estate, inviting people to join your mailing list, deliver an announcement, or point people to a specific page. It’s also free (yay!) and very easy to implement. Check it out at https://www.hellobar.com/ and have a play with it to see how it looks on your website. A sure-fire way to build your mailing list is to offer people something they really want, but they have to give you their email address to get it. In our case, webinars and eBooks are winners. For the former, you have to provide an email address to register for the presentation. For the latter, we put a form on our web page which requires completion before you can download the eBook. If you’re a promotional product distributor, why not offer a free branded t-shirt, mug or mouse pad? A simple, colorful form, added to your website, which says ‘complete your details here to receive your free gift’, is easy to set up and cost-effective to fulfill. Put links to the promotion on your Facebook, Twitter, LinkedIn and Pinterest pages – if the incentive is cool enough, you could post it in networking groups to spread the word wider still. Just remember to email all new ‘subscribers’ advising them that you’ve added them to your mailing list, and they can expect to receive xyz every two weeks (and give them the option to say no, thank you!). Networking events and exhibitions are fantastic at boosting your mailing list. Whether you use a scanner, collect business cards, or just take a pen and paper, make sure that people know what they’re going to get from you, how often, and are reassured that they can stop receiving messages at any time. If you receive a great email newsletter from a company whose target market is similar to your own, why not contact them to ask if you can put a small advert in their newsletter to promote your free mug giveaway? In lieu of payment, you could offer them the same opportunity in your email newsletter – but equally, if their list is much larger, be prepared to pay a little. Partnerships are a great way to cross-promote webinars, too; if you team up with, for example, a local search engine optimization expert, you could co-host an online presentation about the top 10 ways to drive customer loyalty. Well promoted, it’s pretty easy to get 200-300 people on a webinar, and you can share the registration list afterwards for a big boost to your list. Whether you deploy all of these tactics or just one, do it now. Take it away, Henry Ford!